Sandra Bullock is another one of my favorite actresses. Its inevitable to eventually have a list of her roles ranked from best to worst according to me. At the same time, this list will be updated as I watch more of the filmography as well as add on some of the reviews that I’ve already seen before. What are favorite roles of Sandra Bullock? Today is the International Dog Day and Allie at Often Off Topic decided that it was a fine opportunity for everyone to share in a blogathon about dogs in movies. 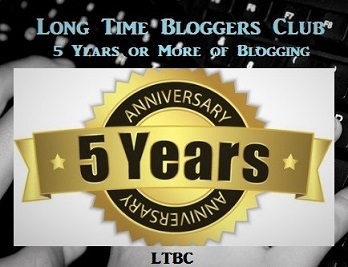 You find all the details of the blogathon when you click on the banner above or HERE. Its Sunday so why not get back to those long-awaited Sunday Lists as its the best opportunity to share My Favorite On-Screen Dogs. This is in no particular order and will be updated if I remember or find other dogs to add to the list in the future! For the sake of the blogathon though, the initial batch is the 10 selections that I thought of (and yes, I cheated with some of these). Balto is a half wolf half dog and because of this, in the small town of Alaska, he is criticized for being wild in nature and untameable, even dangerous. However, when the town gets in trouble, Balto is the dog that goes out and brings the dog sled teams back in a snowstorm to deliver stranded urgent medicine for the infected. One of my favorite Disney films goes to Lady and the Tramp. It may be one of the first Disney films that I saw because I remember it the most and it had the most lasting effect when I was younger (until Aladdin or other films came along). The story between Lady and Tramp is super awesome. It also happens to be one of my favorite Disney films as well so what more can I say? Its been years since I’ve seen Homeward Bound: The Incredible Journey but its always been one that I think about every once in a while. The bond between Sassy the cat and the two dogs, Shadow and Chance are incredible. Its nice to see two different types of dogs also because in reality (while they don’t talk), dogs tend to be the excited and not so obedient type and the smart and obedient type but in the end, they still care a lot about their owners and are loyal in their own way. The Great Mouse Detective is one of those films that are rarely referred to in everyday conversation however, I like it a whole lot. One of my fave moments are between Toby and the various characters. This dog is a hound dog who has quite a bit of character and just so dutiful. He’s just a fun and odd character in a story about mouse detective and the mouse world. Its an obvious choice to have on the list is The Hound in the The Fox and the Hound called Copper. Copper is one of those memorable characters when I was younger because you know, animals in movies are always such a heartstring tugging thing because of pets, right? Copper is just so adorable, and the cutest puppy you know. Just look at him. Snoopy is an iconic Peantus character so while I use A Charlie Brown Christmas because that is the one I rewatch the most, he’s in a ton of other ones like the Great Pumpkin or Snoopy Comes Home or something. I watched a ton. Babe is one of those films that when you tell someone who knows nothing about it, they kind of look at you weird because its about a talking pig and a farm of talking animals. But then, one of the best parts of the films is how these two dogs become of the parents of Babe in a certain way. Rex and Fly are fantastic parents both being great sheep dogs on this farm. Another Disney choice and probably not limited to just A Goofy Movie, however Goofy made the most impressions to me as A Goofy Movie. It was a movie that initially my mom and my aunt had bought so my cousin and I could share and we used to watch it on repeat whenever we were together so at a certain point, I remembered know all the songs and how can you watch Goofy and not mimick his hyuck and his over the top screams. Memoriable as I said. Its why he still is a family favorite. A little out of the left field with this choice as it is the only foreign movie selection here. A lot of people probably would have seen Hachi but I haven’t. My first sad dog movie was Quill: The Life of a Guide Dog which is a Japanese film about exactly what the title says. We see him from birth to being selected to be a guide dog and then the bond he makes with his owner and his responsibilities and of course, to the departure. Thinking about it makes me want to cry. Its a sad and touching story and if you haven’t seen it, well, Quill is going to tug on some those heartstrings. Just remember that you will need your tissue box…like the entire box. Who can forget about Dug, right? The talking dog in Up. I would have used the “squirrel” moment also because I do that a lot when I’m anxious about something. Dug is just so hilarious and because he talks, its his words that just crack me up every single time as he interacts with every single character in Dug. And one of the things for the blogathon was to talk about pets and well, I choose to share something about my dog who has passed away since 2010. Here’s a picture of him below. Isn’t he just like a fluffy bear? I miss him all the time. He was so awesome. 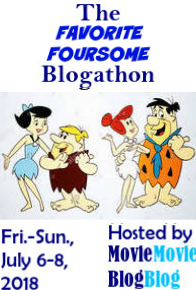 That’s it for this blogathon and Sunday Lists. Thanks so much for Often Off Topic for putting together this blogathon. What are your favorite dogs in movies? Its time for Meg Ryan in the spotlight here. Its honestly was an eventual appearance since she is one of my absolutely favorite actresses. I still have a lot of movies to watch from her filmography but its always a good time when she’s on screen. Although she’s stepped down from the spotlight, I never let go of any chance to take a look at her movies especially when these lists give me perspective on how much more to catch up on and what to prioritize. As usual, here’s the Top 10 (because I’m apparently missing a lot of her films but there’s no going back) and will be updated regularly. Sydney Fuller – D.O. A. With the sheer amount of MCU movies we get every year, they are now in so many different phases, it seems to be the right time to start ranking these films. Compared with other superheroes, MCU is more or less complete in my viewing with only a few slots as this post goes up now but it will be updated with the remaining films in between that I have to catch up with. You will see the unseen movies at the bottom. That’s my list..to be updated as I catch up gradually! What is your favorite MCU films? How would your ranking be different from mine?